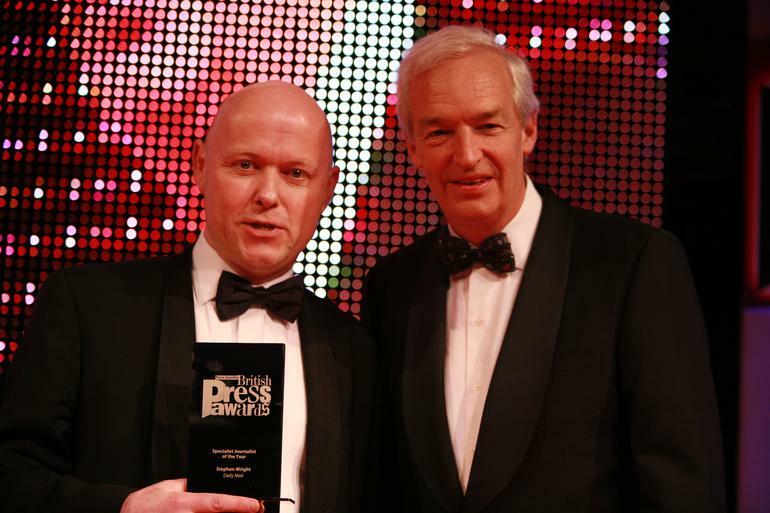 The Times has been crowned newspaper of the year at the 2009 Press Gazette British Press Awards. The judges said new editor James Harding had “miraculously transformed” the title in its recent redesign. “The redesign has been a great success and put right the issues left unresolved by the move to compact form,” one judge said. The Times won two other awards at the ceremony in London’s Grosvenor House Hotel last night – campaign of the year and sports journalist of the year. It was awarded campaign of the year for its family courts campaign, led by Camilla Cavendish. Cavendish told Press Gazette: “We realised there were children being taken away from their parents and taken into care for the wrong reasons. “There was a system of expert witnesses and secret courts in which there was no accountability and where we weren’t able to interview them or report the stories. The Times’s Matthew Syed won sports journalist of the year. He told Press Gazette: “It’s funny in sport – one develops self-esteem as they get to the top. There’s a very objective way of measuring that. The Guardian and the Mail on Sunday each took home four awards. For the second year running, website of the year went to Guardian.co.uk – described as “the big daddy of newspaper websites”. The site’s London blogger Dave Hill was named digital journalist of the year. Columnist of the year went to the Guardian’s “entertaining and wonderfully surreal” Charlie Brooker, and Decca Aitkenhead was awarded interviewer of the year. The Mail on Sunday’s coverage of the Jonathan Ross and Russell Brand controversy won scoop of the year. The judges said it “dominated the news agenda for weeks”. Tom Harper from the Mail on Sunday was named young journalist of the year and the paper’s You magazine won supplement of the year. Mail on Sunday sister title the Daily Mail left with three awards. Political journalist of the year went to Quentin Letts – “the best wordsmith in British journalism”. Letts dedicated his award to House of Commons speaker Michael Martin. “He’s the sketch writer’s muse. He’s absolutely useless at his job and I wouldn’t have it any other way,” he said. The Mail’s Stephen Wright won specialist journalist and the year and his work with Richard Pendlebury on the New Scotland Yard “race war” story was awarded this year’s Cudlipp Award. Wright told Press Gazette: “I believe in old fashioned values – and being as honest and open as possible. “I’m very fortunate to have a newsdesk and a paper that still belives in journalists and journmalism and which gives me the freedom to do the stories I want to do. The prize of journalist of the year went to Gillian Tett from the Financial Times. The judges said she was “consistently in front of the curve as the world’s economy went into meltdown, with clear sharply written stories”. Showbiz writer of the year, James Desborough from the News of the World, was recognised for stories about Fern Britten’s gastric band, Peaches Geldof’s divorce and Heather McCartney which were all published in the face of strong official denials. The awards were presented by Channel 4 News presenter Jon Snow, with a special guest appearance from Liberal Democrat deputy leader Vince Cable and a musical performance from Britain’s Got Talent contestants Escala. Some 540 entries were received for this year’s event – the same as last year – and all the national newspaper groups took part. The entries were reviewed by 88 judges drawn from senior independent figures from the world of journalism, regional press editors and two nominees from each newspaper title.